Lightweight, durable and relatively inexpensive profiled (otherwise, professional sheet) has received recognition from many developers. 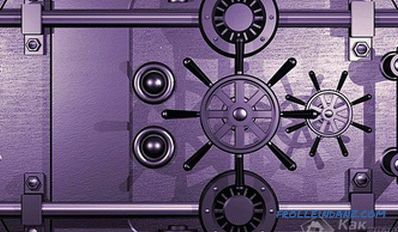 From this material in two accounts you can build a garage, kiosk or warehouse. Using various types of sheeting, you can revet the walls, build a roof, fence or partition. It is worth noting at once that one common detail is inherent in all types of sheeting. This refers to the coating, which can be either more simple (galvanized) or more decorative and durable - polymer. Otherwise, each type of profile has its own shape, depth, width. Due to this, stiffness and durability of corrugated board are changing, which allows it to be widely used in modern construction. Next we look at each type of profile and its technical characteristics. * Attention! The given sizes of the general and working width of a leaf can differ depending on the producer of a professional flooring. This is a sheet with a wavy surface. It has a slightly lower strength than the profiles discussed below. It can be simply galvanized or coated with polymer coatings. Most often available in brown (chocolate), blue, white, cherry and dark green colors. With a sufficiently large angle of inclination of the roof material is used for the roof. It is also used as a facing material for walls and in the construction of fences. Fences and enclosing structures - a corrugated profiled sheet with a decorative protective coating is used. Sheet thickness 0.5; 0.55; 0.65; 0.7 mm. Sheet length 0.5 to 12 m.
Working sheet width 1150 mm. This is a trapezoid sheet. This material also has a reduced strength. Coverage and colors are the same as in C8. 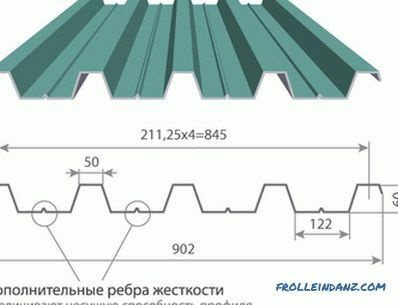 This type of corrugated board is used for the arrangement of the roof with a sufficiently large angle of inclination, the construction of prefabricated structures, fences, outbuildings and buildings. It is used for the manufacture of bearing parts, wall sandwich panels, as well as partitions that protect buildings from fire. Fences and fencing structures - corrugated profiled sheet with decorative protective coating is used. Sheet thickness 0.4; 0.45; 0.5; 0.6; 0.7; 0.8 mm. Working sheet width 1100 mm. This is a sheet with a ribbed or wavy surface. In the latter case, the material is designated as: C18 (wave). Due to its small thickness, it is easily processed, cut and drilled. 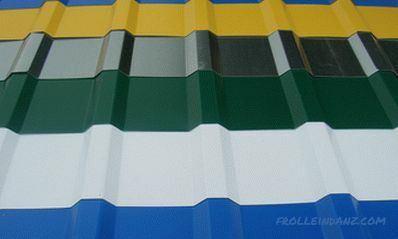 Colors, types of polymer coatings are similar to the above profiles. Due to its decorativeness it is very good for making fences and fences. 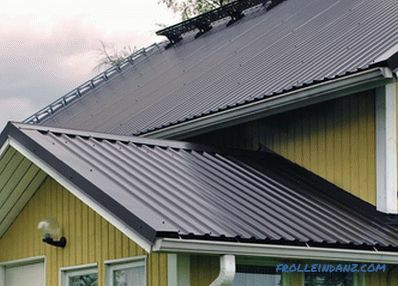 Suitable for roofs with a pitch of not more than 40 centimeters. 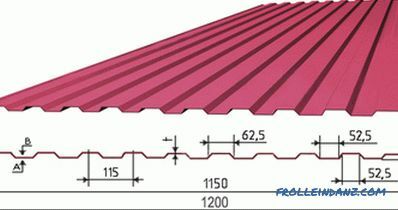 Roof covering with a maximum pitch of 0.4 meters. Sheet width total 1023 mm. Working sheet width 1000 mm. This is a corrugated sheet, the surface of which is ribbed, trapezoidal in shape. The following polymers protect against corrosion: polyester, pural, polyurethane, prism. 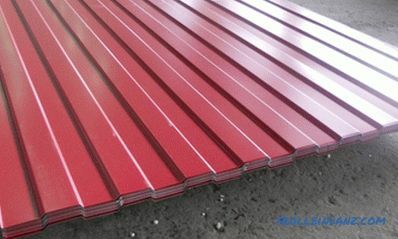 It is used for roofing with a crate with a step up to 80 centimeters. In addition, like the previous profiles, it is used for construction and cladding of buildings, structures, fences and outbuildings. It has greater strength and versatility compared to previous profiles. Steel fences and other similar barriers - used professional sheet with a decorative protective coating. Sheet width total 1051 mm. This is a very durable galvanized sheet with a fairly high trapezoid profile. It can be covered with a layer of one of the polymers. 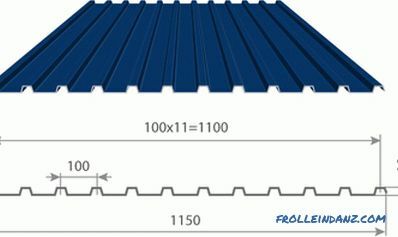 Due to the increased rigidity, this material is quite possible to use even for a roof with a rare crate - up to 2 meters. Since it can withstand very large loads, it is well suited for the manufacture of bearing elements.Hangars, fences, garages and cabins, sandwich panels from it are easy and durable. Roofing for flat and pitched roofs. Sheet thickness 0.5; 0.55; 0.6; 0.65; 0.7; 0.8; 0.9 mm. Sheet length 0.5 to 13.5 m.
Sheet width total 1047 mm. This is a sheet with an additional ribbed surface. Like the previous types of materials, can have a polymer coating. The roof of this profile is extremely durable and airtight. In this case, the step of its crate up to 1.5 meters is allowed. 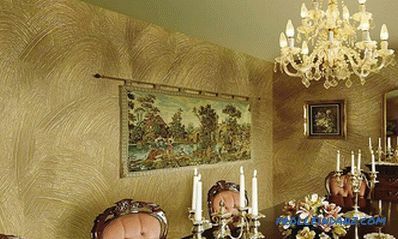 For wall, bearing and panel structures, this material is also great. Like the previous type, this sheet has additional stiffeners, which add strength to structures made from it. The profile has the shape of a trapezoid, can withstand solid loads, allows you to build a durable roof that will not leak. Permissible lathing pitch is 3 meters. Naturally, this professional sheet can be used for all other construction works described a little earlier. Steel fences and other similar barriers - galvanized steel sheet or galvanized with paint coating is used. Sheet width total 1070 mm. 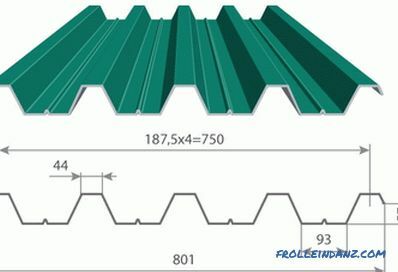 This is a corrugated trapezoid sheet with a high profile. 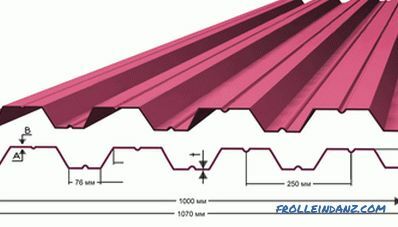 A distinctive feature is the presence of additional gutters on the corrugation. Due to this, a wider layer of insulation can be placed under the profiled flooring, which increases the strength of the erected structures. 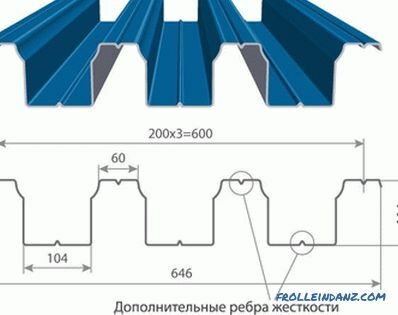 This profile is used for roofs with a step of batten up to 3 meters, as well as for panel metal fences. Also, load-bearing elements, permanent formwork, sheet reinforcement for floors made of concrete and steel, composite slabs between floors, rigid partitions are made from it. Steel fences and other similar barriers - galvanized steel sheet or galvanized steel nan seniem refinishing. Sheet thickness 0.6; 0.7; 0.8; 0.9 mm. Sheet length 0.5 to 14 m.
Working sheet width 750 mm. 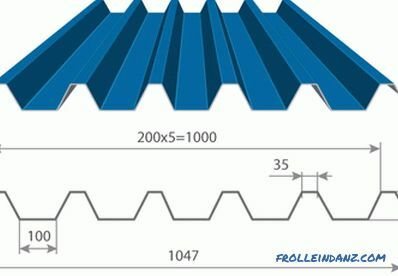 This trapezoidal profile sheet has almost the same characteristics as the previous one, differing from it in greater thickness and increased height of the corrugations. Accordingly, it has greater rigidity and strength. Steel fences and other similar barriers - used galvanized steel sheet or galvanized with paint coating. Sheet thickness 0.7; 0.8; 0.9; 1.0 mm. Sheet length 0.5 to 14.5 m.
Sheet width total 902 mm. Working sheet width 845 mm. One of the most powerful types of corrugated board. It has the highest strength characteristics. This is largely due to the presence of additional ribs. The leaf surface is trapezoidal, the profile height is maximum. Elements of the roof, walls or bearing parts of the building, which require special strength, are produced from this material. Specific areas of application are similar to the two previous types of profile. The step of crates for the roof of this material can reach 4.5 meters. Steel fences and other similar barriers - galvanized steel sheet or galvanized steel on Eseniya refinishing. Sheet thickness 0.65; 0.7; 0.8; 0.9; 1.0 mm. Sheet width total 800 mm. This type of profile differs from the previous one by the presence of one more work piece of rigidity, which gives it even greater strength. This sheeting is able to withstand very high loads without deflection and can be installed both in horizontal and in vertical positions. Steel fences and other similar barriers - a galvanized professional sheet or zinc is used bath with paint coating. Sheet thickness 0.8; 0.9; 1.0 mm. Sheet width total 646 mm . Working sheet width 600 mm. 0.8 mm 12.4 kg . 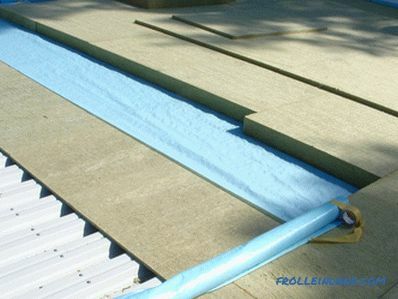 This type of material is used for the construction of light, airtight and durable roofs. Its main distinguishing feature is sufficient rigidity and ability to withstand heavy loads. 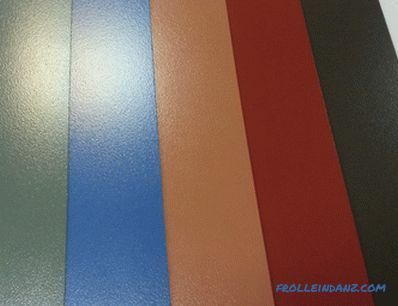 Attractive design and beautiful colors make this professional sheet quite suitable for facing works, the construction of decorative (but at the same time reliable) fences and other fences that do not deteriorate due to the weather. 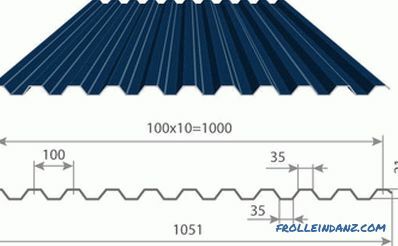 As an example, you can call the following types of corrugated roofing: HC44, HC35. to build a decorative structure. This material is used when elements of buildings and structures that are exposed to significant loads are mounted. 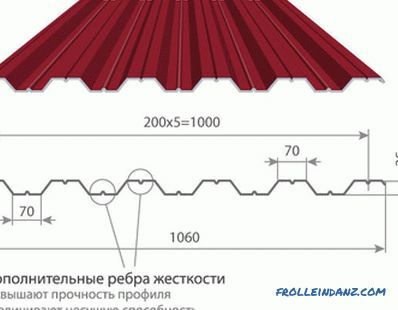 Bearing external walls, strong roofs, sturdier floors - this is the area of ​​use of this profiled sheet. 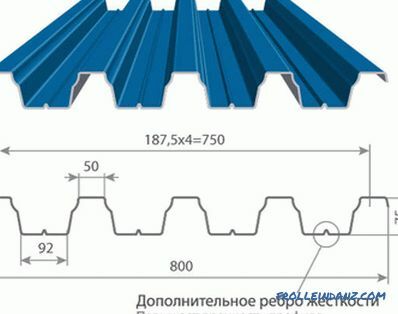 It is easy to recognize the bearing profiled sheet - its profile is quite high, and there are special grooves on the corrugation. Examples of brands: H57, H60, H75 and H114. installation is simple and convenient, takes place in a short time. to build a solid fence. 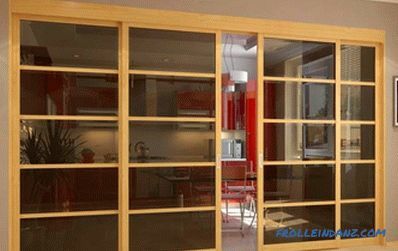 It is used not only for the construction of walls (external and internal). It is also good to make fences surrounding private houses from such a profiled sheet. It is inexpensive, it protects against corrosion thoroughly, therefore it is very popular with professional builders. It, as a rule, has a rectangular or trapezoidal profile, can be simply galvanized, or with a polymeric coating. Examples of brands: С8, С10, С18, С21, С44. 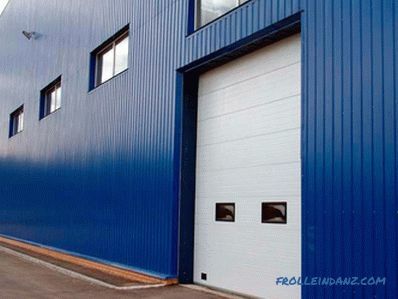 It should be noted that the most popular types of sheeting for walls and fences are C8 and C21. All coatings used to protect sheeting can be divided into two large groups - this is zinc or aluzinc coating and coating with polymeric compounds. The professional sheet of any type is made of cold-rolled steel with a thickness of 0.5 to 1 millimeter. To protect the metal from corrosion, apply various coatings. The basis of the vast majority of these coatings is the familiar hot-dip galvanizing. This means that the steel sheet is dipped into molten zinc, seeking to create a protective layer with a thickness of 25 to 30 microns. It turns out galvanized profiled - finished material, which is the cheapest of all. It is used for repair, construction and restoration work. Instead of galvanizing, steel can be coated with more resistant aluminum zinc, which is also called galvium. It consists of three components: zinc (43.4 percent), aluminum (55 percent) and silicon (1.6 percent). The last element is needed for a strong bond between the first two metals. 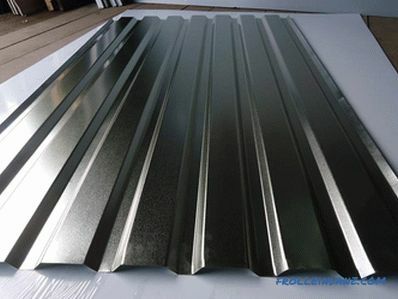 Profiled with aluminum zinc protection will be good for the roof of a house on a busy highway, on the sea coast or in an industrial area.The aluminum which is a part of a covering will save a roof from various "chemistry" or the sea evaporations which are contained in air. For greater strength, the galvanized sheet is primed and then coated with an organic polymer. The strongest of these polymers is a plastisol coating with a thickness of 175 to 200 microns. Such a solid layer will help you withstand blows with honor, as well as avoid scratches. Also, this plastic and durable material is not exposed to aggressive media. But he also has disadvantages: fading with time, instability to ultraviolet radiation and temperature changes. The appearance of the plastisol coating. 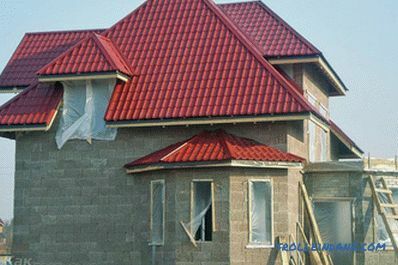 According to statistics, about 85 percent of roofing materials are covered with polyester. After all, it is perfectly resistant to corrosion, and at the same time it is not afraid of frost and heat, and also does not lose its bright color for a long time. Very effectively looking, decorating buildings, a professional flooring with a matte polyester coating. Decking coated with polymeric protective coating Polyester. To be more precise, this material, developed recently by Ruukki®, is called PURAL® matt. Its main component is polyurethane. A professional leaf covered with pural need not be afraid of sunlight, chemical aggression or corrosion. From it you can build not only the roof of the building, but also beautifully revet its facade. Texture of the polymer coating Pural. This material (otherwise, PVF2, or polydifluorionad) is particularly resistant to adverse weather events. Corrosion is not able to damage it, and juicy color has not changed at all for many years. Therefore, such a profiled most often revet the facades of houses. This is especially successful if the color scheme is important. Whatever composition the polymer protection would have for different types of sheeting, it should be fixed. To do this, apply a thin glossy film of paintwork. It consists of several layers, reaching a thickness of 40 to 300 microns. This reduces the chance of corrosion to zero, and also has a decorative function. After a few years, this layer should be updated - it is quite easy.